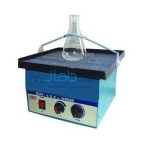 Useful for accelerated mixing of solutions in test tubes, small flasks or centrifugal tubes etc. 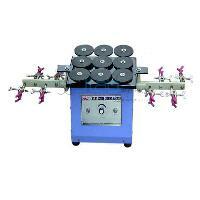 Designed for shaking khan racks, bottles and flasks of different sizes by adjusting compartments. 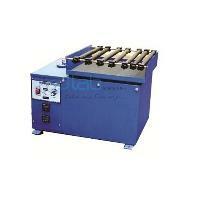 Fitted with heavy duty motor to work on 220 V AC 50 Hz V A single phase. 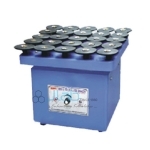 Body made out of thick mild steel sheet finished in staving enamel paint heavy-duty motors of suitable capacities are provided for long time, continuous operation. 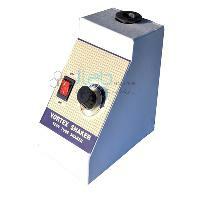 Carrier size 13"x13" fitted with geared motor with concentric motion along with time switch range 0 to 15 minutes. Heavy cast-iron base with sturdy construction with two side arms for holding flask.